The Court utilized the two-step test provided by the Court of Appeals for the Federal Circuit to determine the proper scope of the bar. First, the Court assessed the risk that highly confidential information would be inadvertently disclosed to those involved in “competitive decision making.” Second, the Court balanced that risk against the harm caused by restricting a litigants’ choice of counsel. Judge Koeltl found that the bar should be for all individuals with access to the information, as opposed to individuals who had actually reviewed this information. He noted the significant risk of the inadvertent disclosure of confidential information and that it would provide a clearer standard for the litigants moving forward. Further, although some district courts have held that a prosecution bar is unnecessary in post-issuance proceedings since claims cannot be broadened, Judge Koeltl disagreed. 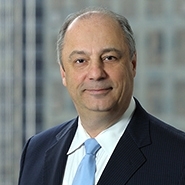 He noted that the disclosure of this information could be used to “shape, draft, amend, or restructure strategically the scope of claims to sustain them against a challenge in a post-issuance proceeding.” Thus, post-issuance proceedings in the PTO, such as IPRs, were included in the scope of the bar.